Started my day putting air in my tires, voting and doing a three-mile walk. 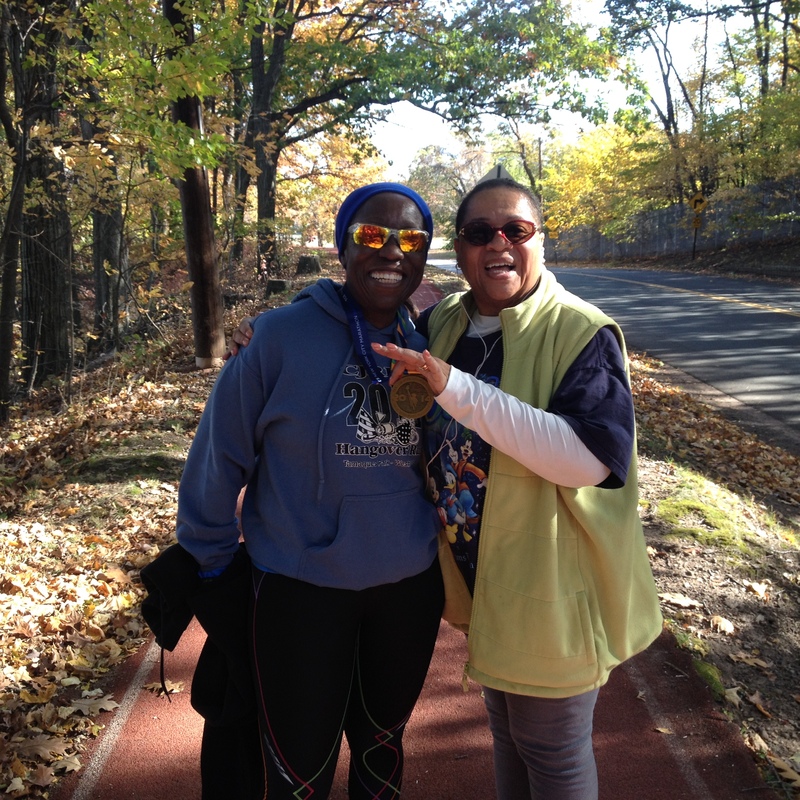 Along the way I ran into my girl Roz two days off of her New York Marathon run this past Sunday. She walked yesterday and today. Gotta love her! Warm and sunny just a day to feel blessed. Happy Tuesday! The closest I’m getting to an NYC marathon metal. Thanks Roz! Posted on November 4, 2014, in Moving Forward, re-invention, renewal and tagged blessed, marathon, NYC marathon, voting, walk. Bookmark the permalink. Leave a comment.